The collection of viable cells is paramount to successful cell sorting via flow cytometry. It is well known that high pressures, decompression, and shear forces negatively affect cell viability and functionality during conventional droplet sorting. 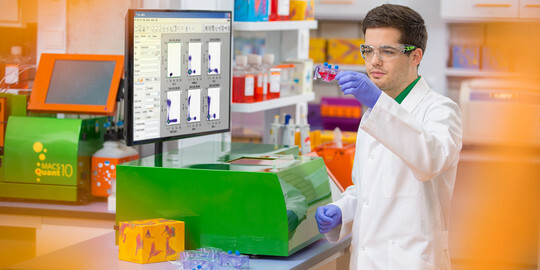 The MACSQuant® Tyto® Sorter provides a novel and very gentle approach to cell sorting, eliminating the concerns associated with conventional droplet sorting. Nozzle-free: Unlike on conventional droplet sorters, cells are sorted by a high-speed mechanical valve within the MACSQuant Tyto Cartridge. Low pressure: Cells are sorted in a constant liquid stream of very low pressure (3 psi), preventing shear forces. No droplets: In the closed cartridge, cells do not get decompressed or charged, and no potentially hazardous droplets form. Temperature control: The sorting chamber can be temperature controlled allowing constant cooling of the sample throughout the entire sorting procedure. In this application note, we demonstrate the gentle sorting character of the MACSQuant® Tyto® Sorter by sequentially sorting highly viable lymphocyte populations of B cells, T cells, and natural killer (NK) cells from only one original sample of peripheral blood mononuclear cells (PBMCs). 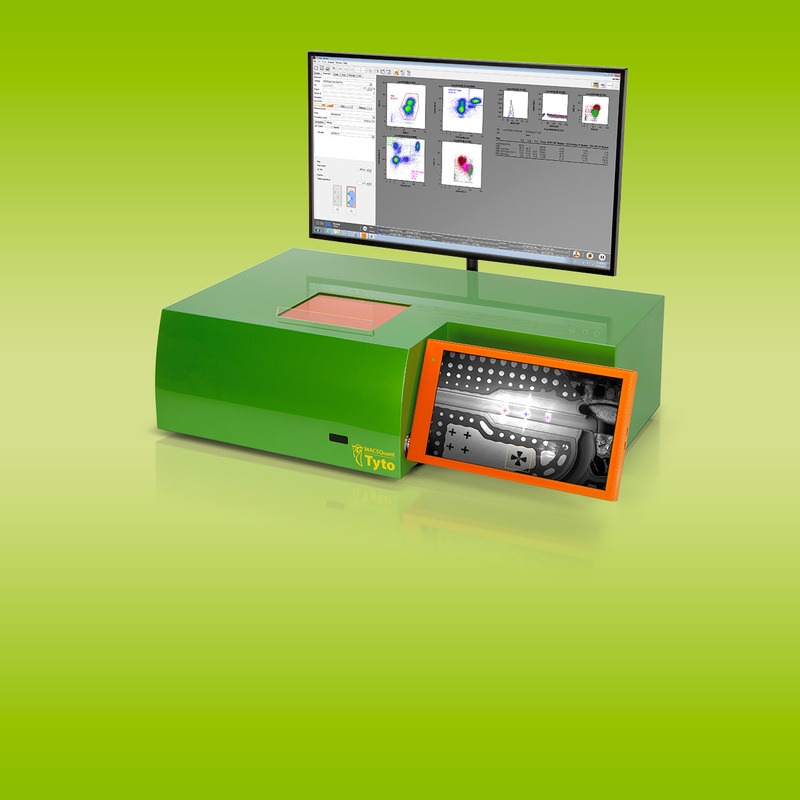 Are you interested in increased cell viability after sorting? Fill in the form below to request more information! I agree to the electronic storage and usage of my submitted data in order to process my request. I agree to the privacy statement.